DAVE. 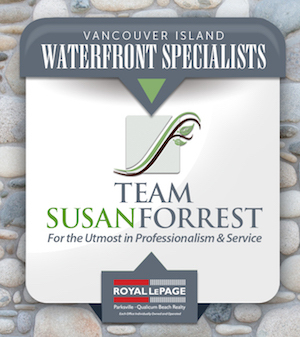 For waterfront properties on Sproat Lake, it's the only name you need to know. One of Canada's top-ranked RE/MAX Realtors, Dave was born and raised in the Valley, and he's been a consistent performer since obtaining his license in 1993. He's a member of the Diamond Club and has earned the lifetime awards - Circle of Legends, Lifetime Achievement Award andÂ has been inducted into the RE/MAXÂ Hall of Fame. Dave has also obtained the Certified Luxury Home Marketing Specialist (CLHMS) (Member of the Million Dollar Guild) and Global Marketing Agent (GMA) designations. 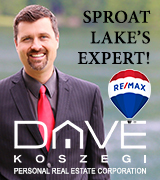 Dave resides at Sproat Lake with his family, is passionate about the area and its residents and enjoys touring new clients around the lake and all it has to offer. 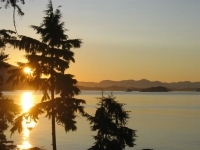 Â With his keen interest in waterfront properties growing to include oceanfront, Dave has expanded his client base to not only Bamfield and the Alberni Inlet but also the Pacific Rim, Ucluelet and Tofino areas. Â If you are looking for a property or have a property to sell in any of these internationally popular areas, please feel free to call Dave for all your real estate needs.